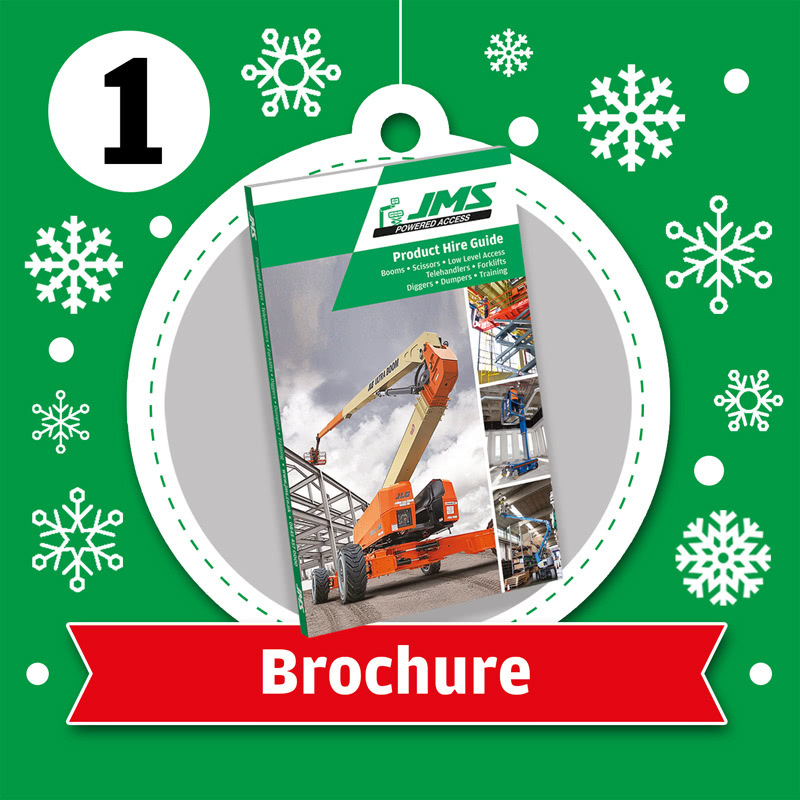 Each day we will be presenting different products and services that JMS offer to customers. Remember, if you would like to have a chat about powered access hire, you can talk to our team of experts on 0845 457 0000. On the first day of Christmas, there is no need for a partridge in a pear tree. 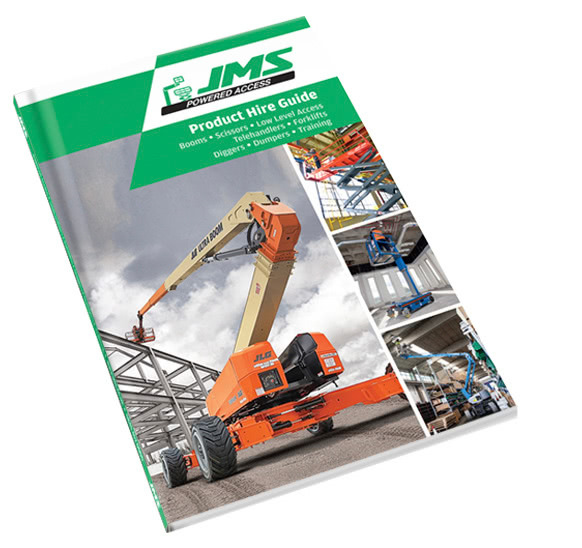 JMS bring to you a new, fully packed brochure with a real quick and easy guide to hiring with JMS. Get your copy here. 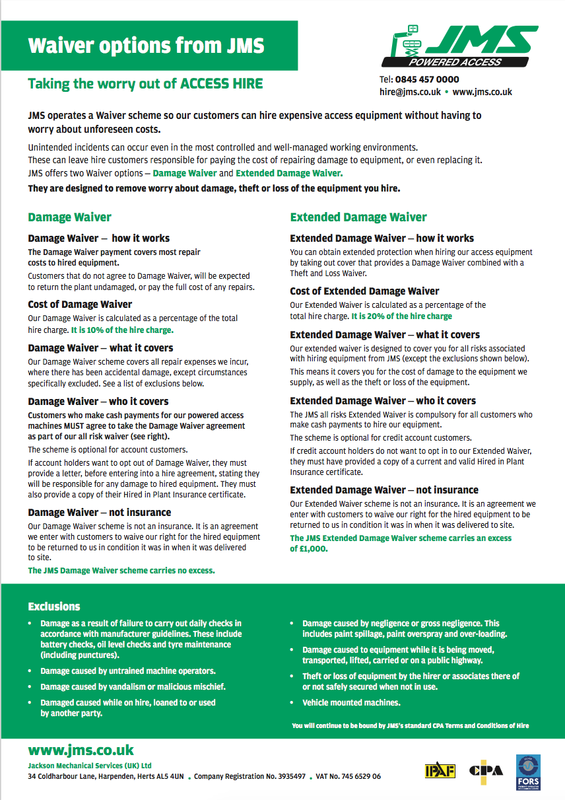 Don’t let damages to access kit dampen your festive spirit, JMS bring to you a Damage Waiver scheme to protect your hire options. Don't worry. Be happy. 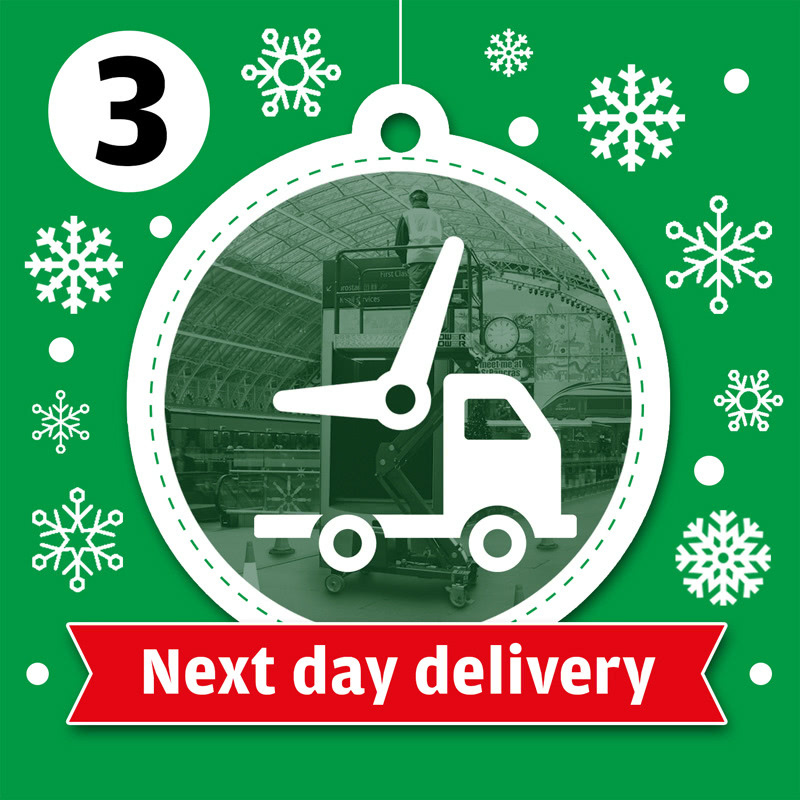 Just like your Christmas pressies that are on Next Day Delivery, our access equipment can be hired as soon as Next Day, now that’s worth celebrating. Call us today if you need a machine. We are always happy to help you find the right machine. Book training easily with the JMS website. New Year New You - be the master of your field and get JMS training for working safely at height. Book IPAF operator training here. The Christmas elves love these! Now you can work safely over desks to safely put that star at the top of the tree. 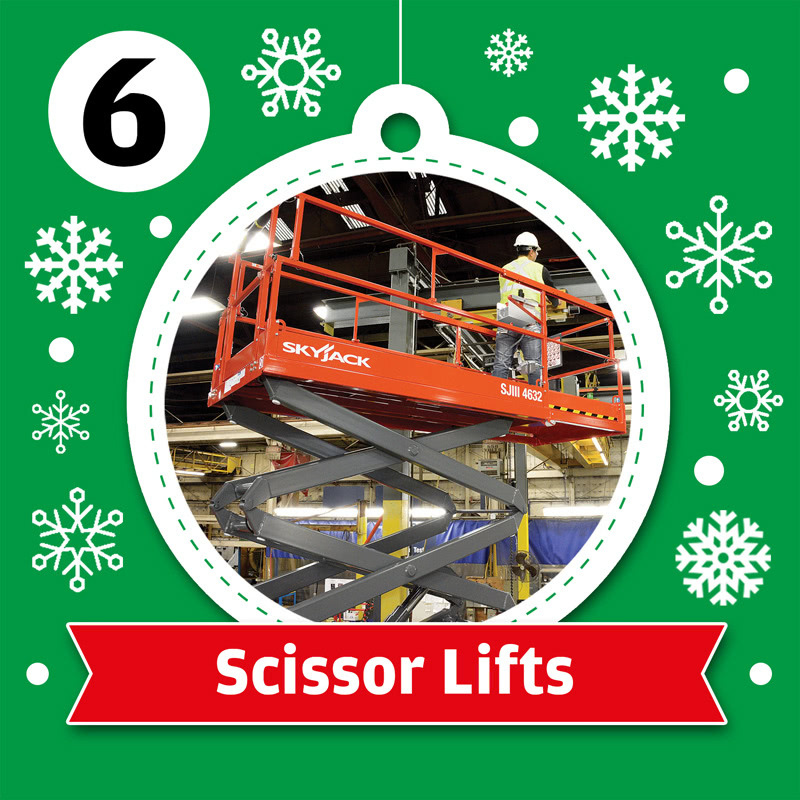 Stay safe with our huge range of low level access machines, right from the Power Tower Ecolift, Pecolift, Pop-up, Boss to the Deskglider. These are just a small selection of our huge range of low level access machines. JMS have a range of scissors with max heights from 7.79m to 34m. These really ought to be on your Christmas list. JMS can supply you with the latest scissor lifts from leading brands in electric, diesel and rough terrain options. Check out our selection of scissor lifts. 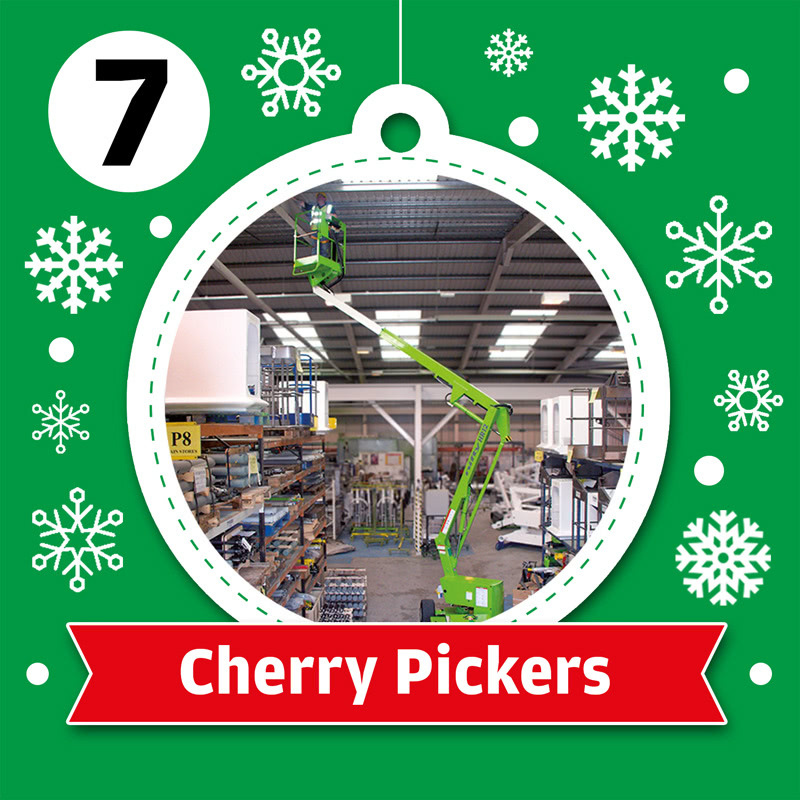 No swans a swimming today, On the 7th day of Christmas JMS bring to you a range of Cherry Picker hire options. JMS cherry picked the finest of machines just for you. Now on a serious note, tell us, do you prefer cherry pies or mince pies at Christmas? JMS bring to you a Christmas turkey! 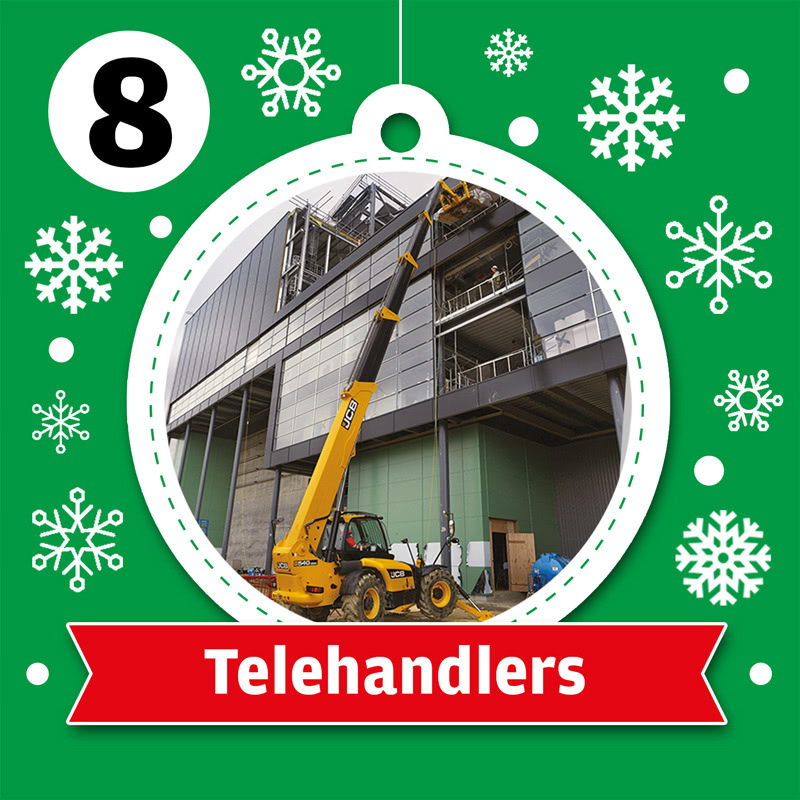 No, not really, on the 8th day we bring to you Telehandlers. JMS are ready to help you if you need help choosing a machine. Health and Safety is key the whole year round. 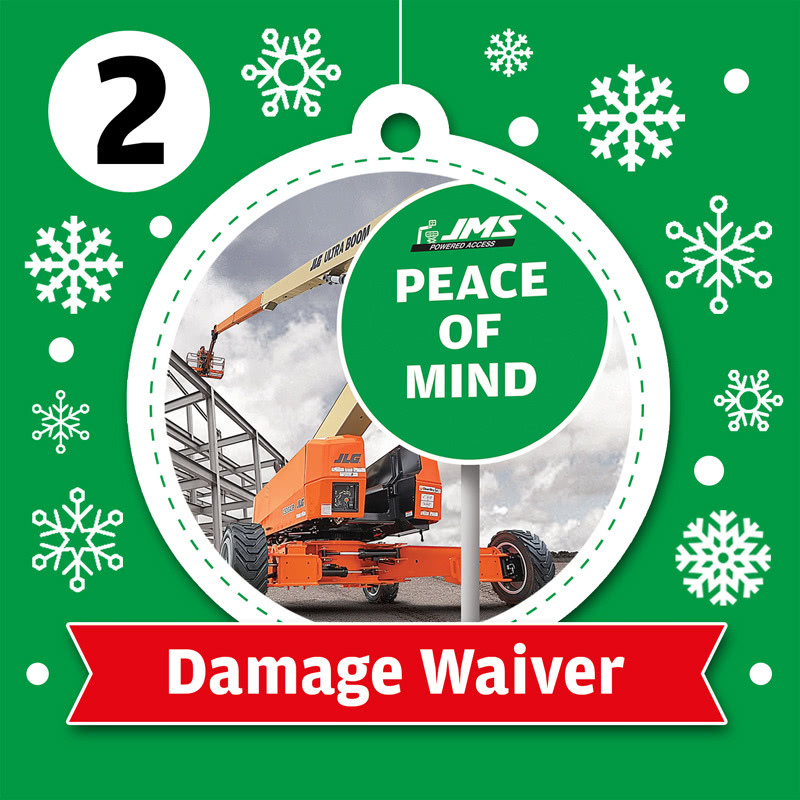 You can hire accessories from JMS, such as track mats, safety harnesses and lanyards, wheel covers, material handling solutions and many more accessories. How about that for ‘Elf and Safety’? 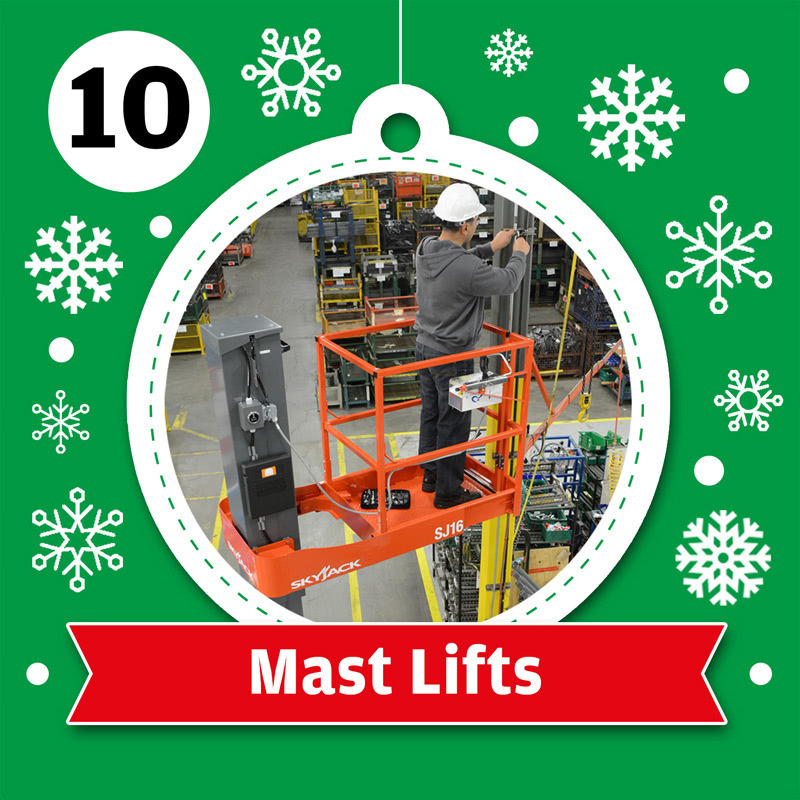 We can’t promise to gift wrap our range of mast lifts but hiring our mast lift options will not let you down. Our mast lift selection has Max Working heights from 3.50m to 14.29m. Ahem, talking of selection, where’s that chocolate selection box? 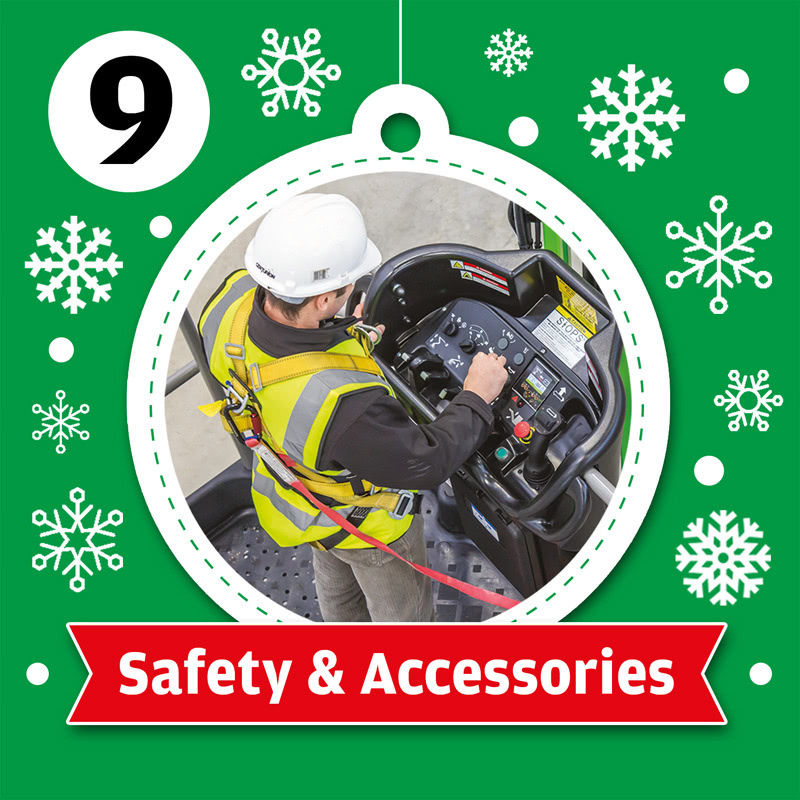 On the 11th day of Christmas, JMS bring to you the very latest options for powered access hire. 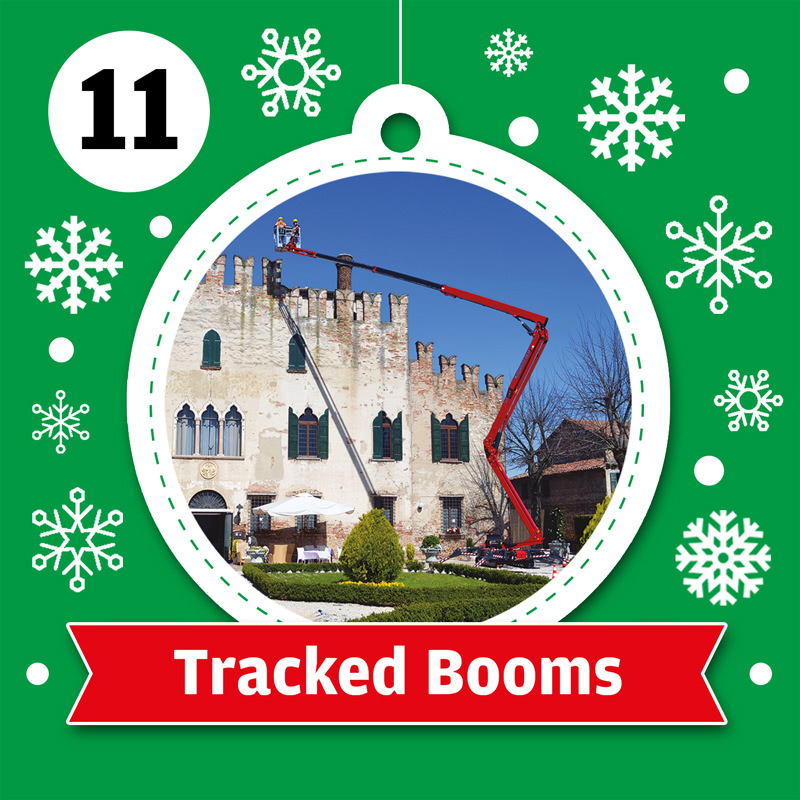 Including our range of Tracked Booms. They are perfect both indoors and outdoors! The list goes on… Just like your list to Santa. That rounds up our 12 days of JMS. 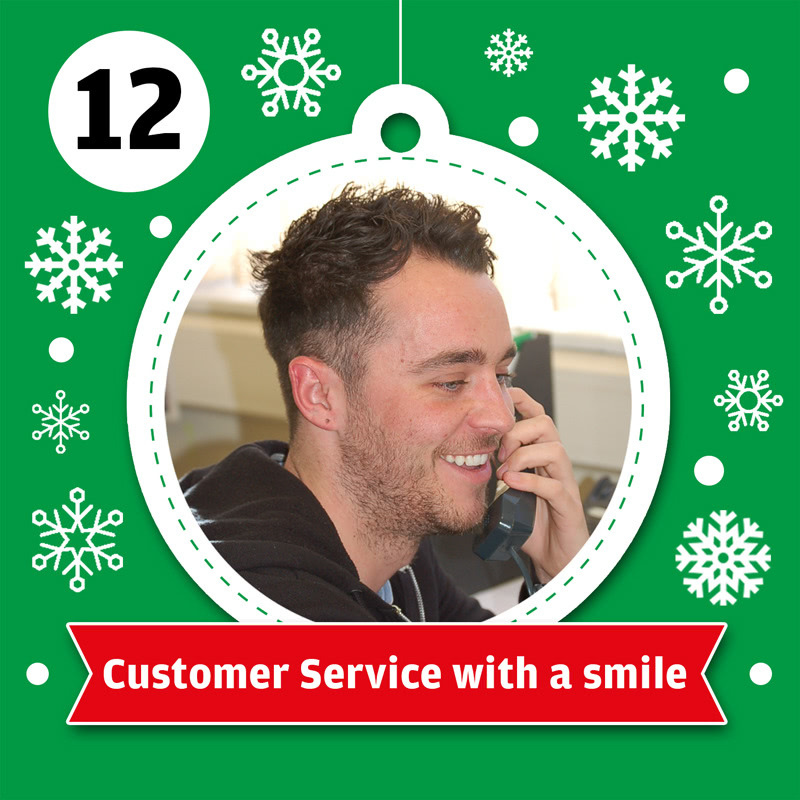 Our service is all year round. Why not get in touch. Stay tuned with our blog and social media to unwrap your 12 days of JMS festive fun. If you're not already following us, you can keep in touch with us on Linkedin, Twitter, and Facebook.